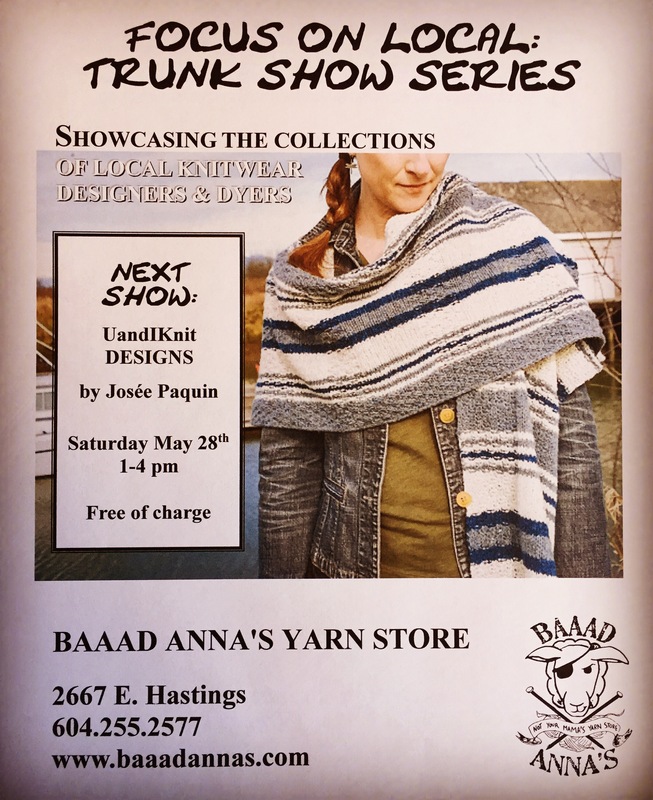 We’re pretty excited that Josée Paquin, from UandIKnit Designs, is bringing her designs to our next monthly FOCUS ON LOCAL Trunk Show happening 1-4pm on Saturday May 28th! Josee sporting her perfect-for-Spring Ellie sweater. Quite recently Josée left her day job and moved across the country from Ottawa to settle down in Richmond and focus on knitting and designing full time. 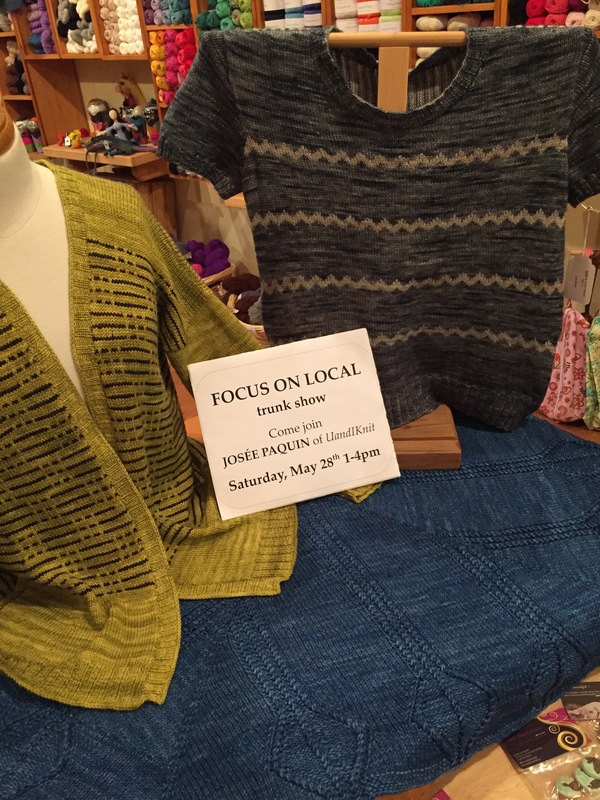 Stop in to check out the amazing talent she brings to our local knitwear community. In store you can browse a binder full of information about her patterns, which bring together Westcoast casual and Quebecoise dress-it-up. (Can you guess where she grew up?) And we are charmed by her Friends First Collection–yes, those Friends. Be sure to stop in on the 28th to try some of her designs on for size as we’re sure you will fall in love with them as quickly as we did!